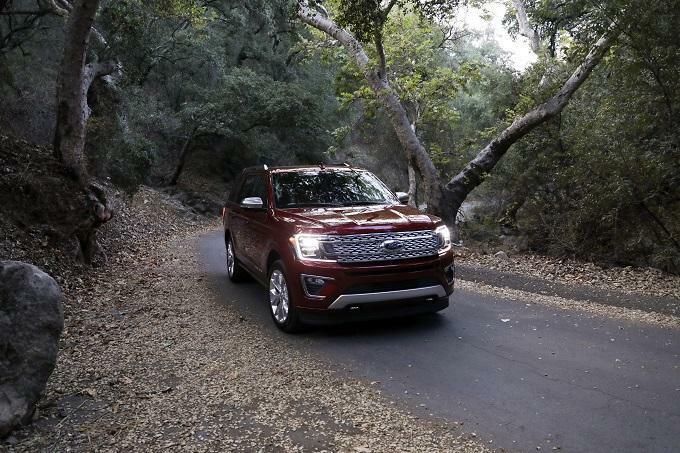 Get to know the 2018 Ford Expedition, an all-new full-size SUV that’s ready for adventure. You’re already familiar with Ford SUVs, which serve up plenty of rugged practicality. The new Ford Expedition raises the legendary three-row vehicle to a new level, thanks to the latest in technology, design, and driving dynamics. Try one out today at Van Isle Ford. Just because you want an SUV that can pull through all kinds of conditions doesn’t mean you don’t care about efficient performance. For that reason, the only engine for the 2018 Ford Expedition is a 3.5-litre EcoBoost. Thanks to the combination of turbocharging, direct injection, and variable valve timing, this engine won’t drink down the fuel too quickly. At the same time, you’re not sacrificing when it comes to total power and responsiveness. With 400 horsepower and 480 lb.-ft. of torque on tap for Platinum models, and 375 horsepower plus 470 lb.-ft. of torque for the rest of the lineup, you’re ready for whatever life has in store. Paired to that engine, a 10-speed automatic transmission features tuning specifically for the Ford Expedition. A tow/haul mode provides stability when more weight enters the picture, so you can proceed with greater confidence. While the Ford Expedition certainly can tow and haul plenty of weight, it doesn’t compromise comfort and handling. Instead of a solid rear axle, engineers designed the SUV with an independent multilink rear suspension. That means less harshness when rolling over obstacles, plus more legroom and headroom on the third row. For even more responsiveness and greater comfort, add the available continuously controlled damping system. Numerous electronic sensors measure 46 different motions constantly, allowing the system to adapt within milliseconds to changing conditions. You as the driver get to select one of three settings: comfort, normal, or sport. 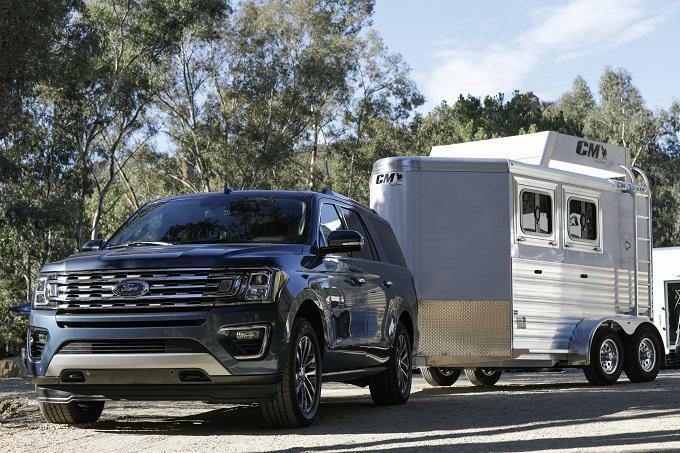 As an all-new SUV, the 2018 Ford Expedition can be loaded up with some of the latest technologies. To keep up with your busy life, the vehicle can feature 6 USB ports, so everyone keeps their mobile devices charged and ready to go. An available wireless charger up front means you don’t need to mess with wires, which can get in the way. Everyone stays entertained if you add the optional B&O Play sound system, with 12 speakers for a truly amazing experience. Some of the available technologies help you manage the SUV and keep everyone safe. Pre-collision assist with pedestrian detection, adaptive cruise control, lane-keeping assist, blind spot monitoring, and more all act like extra eyes, so you always know what’s going on around the vehicle. Haul people and cargo without compromise, using the new Ford Expedition. You can seat up to 8 on three spacious rows, where nobody feels cramped. As for the rear cargo, it’s quite ample, especially if you opt for the MAX model. Many luxuries await, depending on the version of the Ford Expedition you select. Available features include leather upholstery, heated/ventilated seats, power-folding third-row seats, active noise control, a panoramic vista roof, woodgrain appliques, and so much more. Check out the 2018 Ford Expedition today by coming to Van Isle Ford.